Mobility Nationwide are delighted to announce that we will be participating in this year’s ‘Kidz up North’ exhibition on 21st November in Manchester. This event is dedicated to children with disabilities and special needs, their parents, carers and professionals who work with them. We are looking forward to welcoming visitors to our stand, where we will have lots of information about our used wheelchair accessible vehicles. 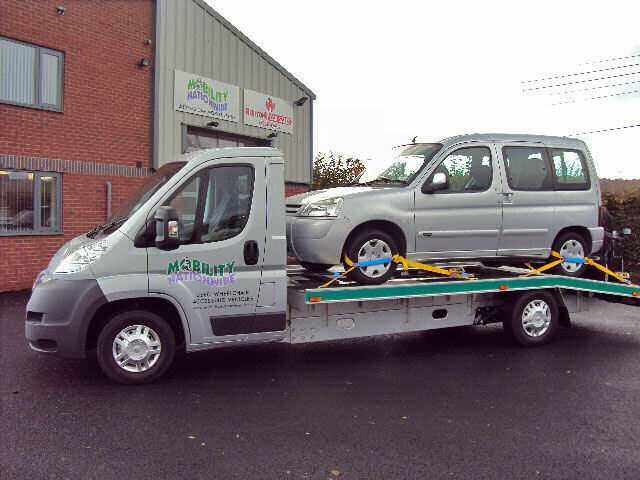 They will be able discuss with us their requirements and view our entire stock of wheelchair cars. Summer is here at last and we have a great selection of air conditioned wheelchair accessible vehicles, including the Ford Tourneo, Renault Kangoo, Citroen Berlingo and Dispatch, Vauxhall Combo, Kia Sedona, Peugeot Expert Tepee, VW Caddy, Trafic and Transporter and, last but not least, the Mercedes-Benz Viano. See our Showroom page for details. 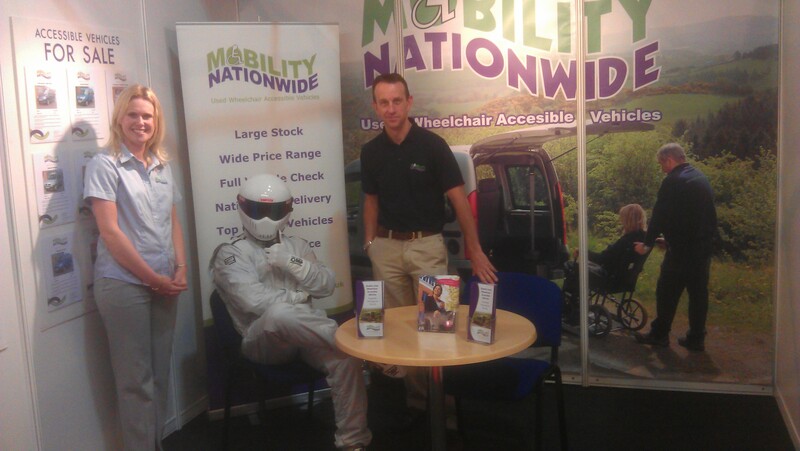 Gemma and Dave Discuss High Speed Driving Techniques with Stig! 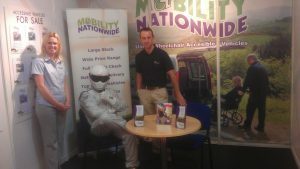 Gemma and Dave at the Mobility Nationwide stand at this year’s Mobility Roadshow. As part of our continued commitment to customer service, we are pleased to add another Citroen Relay to our vehicle delivery fleet. The company tries at every opportunity to reduce our environmental footprint and the impressive fuel economy of the Citroen goes a long way to helping our objectives. The vehicle has been specially ordered with air conditioning to ensure that our drivers arrive fresh and relaxed at customer premises. Above: Photographs from the official opening on 4th May 2010 (click on the photos for larger versions). The Official opening of Mobility Nationwide’s new purpose built headquarters on 4th May 2010. 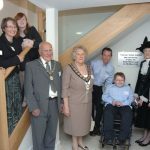 The building was officially opened by one of our customers, 11 year old Owen Williamson, who has recently benefited from the purchase of a wheelchair accessible vehicle. 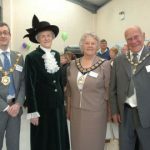 The evening was attended by the Town Mayor, The Leaders of the County Council, The High Sherriff and Lord and Lady Jones. The evening held to raise money for Muscular Dystrophy Campaign raised over £500 on the night. 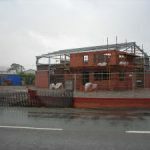 In 2009 Mobility Nationwide invested in new premises at their base in Ruthin. 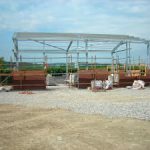 Our new custom built Headquarters has been designed to provide first class customer facilities (wheelchair accessible to modern standards) and a 21st century working environment for our staff. 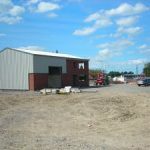 The move to the new premises was completed in January 2010, and has seen a great improvement in working conditions. The new light and airy workshop helps ensure that the slightest blemish can be seen and corrected. Perhaps as importantly, we have been complimented by many in the town for investing in the new building. 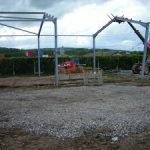 As Dave (our MD) says ‘it was important to me to do better than just another industrial shed. 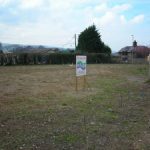 Sited in a prominent position, I felt I should ensure our new premises were as attractive and well-built as I could afford’.